I love your kitchen and the knotty pine cabinets. I’m glad you didn’t paint them. Thanks Joy! Heath was a master with that sander. Yup, sometimes it’s better not to fight but rather embrace/enhance. I think that what you did with the budget you had was a great decision and outcome. Great post! It can be a tough one though. We bought a classic 1957 home in Melbourne and while the original kitchen still stood, it had fallen into a huge state of disrepair. We also needed to make the house work for our lifestyle and that meant pulling it all out and a little reconfiguring. 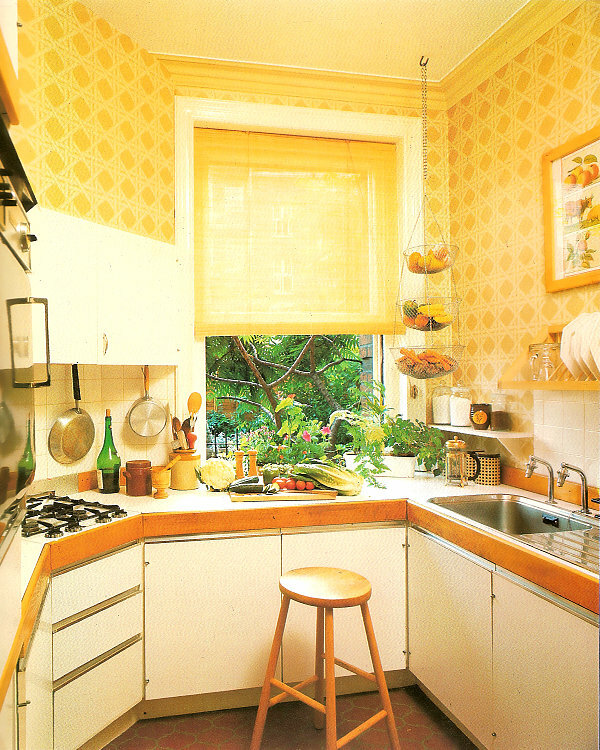 While I would have loved to have recreated the original kitchen, it just wouldn’t have done it justice and also would have been impractical for our needs. I believed our renovations maintained the integrity and feel of the architects original design, although it is by no means a time capsule house! 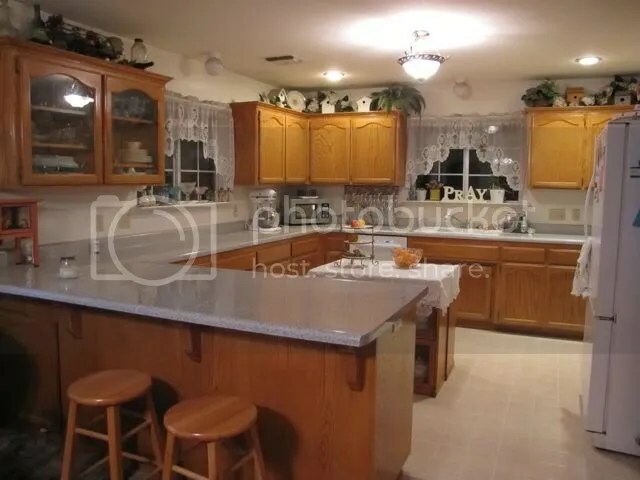 I agree with keeping your kitchen in line with the year the house was built. I have a 1912 house and when we redid the kitchen I tried to keep it in line with that year and I love it. Your redo is lovely. 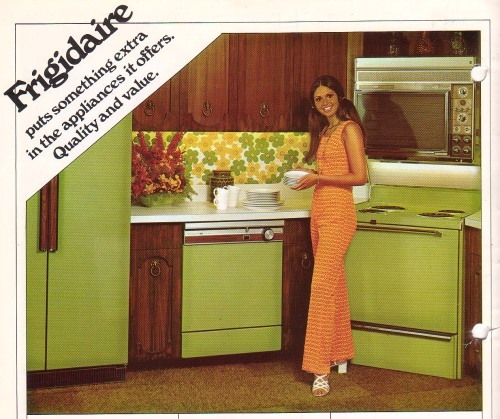 I especially love the backsplash and your refrig. Thanks Lisa, I’m glad you’re happy with your redo, too! Love this post, and your blog! We are currently in the process of acquiring and old home from family, and we can’t wait to do some work like this. We have flipped a house before, but nothing compared to what we are going to face with wood paneling etc… so many decisions!! Love your work, and those cabinets are gorgeous! Way to make them work with the whole new feel. Thanks. I can’t stress enough how much I hated them at first, but the more I thought about it, the more they grew on me. Hope you have a rewarding experience updating your family’s home. I love what you did with the knotty pine! My grandmother has a wall of knotty pine in her house. I never knew it could look so striking! Oh my gosh this whole post reminds me of my mom. To this day she still only watches Home and Garden channel and before/after shows! Ah, some things never change. So happy to have stumbled upon your pretty inspiring blog! I love what you did with your kitchen. This is so cool! So impressed by you all the time! You are very creative. 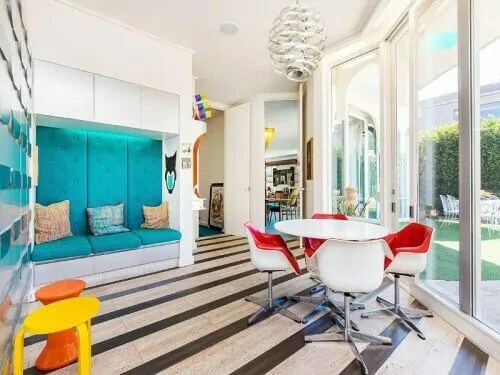 Love the colors you have used to enhance this home! Do you have a favorite color for home decorating? I really like what you did with the kitchen! We’re in a rental and the pine is what killed me at first. I even considered asking our community manager if I could paint the cabinets! I ended up talking myself out of it because I realized it was just me nit picking. I’ve made due with what we have and added my own personal touch and thats what made me love it. It kind of reminded me of what you did here! There will come a day when I can have my dream kitchen, but for right now, a cosy DIY kitchen space is all I need.